Staring It Straight in the Eye - Jill Ruth & Co. This Sunday, I will turn 50. A couple of weeks ago, I was going down the rabbit hole of links on the computer and found myself at BHLDN. It's the wedding site associated with Anthropologie. I clicked on the sale tab and here were the most beautiful candle holders on clearance for $2 a piece. I thought, hmm...who could I buy one for and then saw that the only numbers left were 0, 4, & 5. Well, that left out my kids. Granddaughter for coming years? And, then it hit me, 50! Me, I could buy them for me. Click, click, click, they were bought and on their way without me second guessing myself. So, they've been sitting out for me to enjoy and contemplate this milestone birthday. I'm not sure I have anything profound to say about it except that I'm grateful. So very grateful for e.v.e.r.y.t.h.i.n.g in my life. And, I'm happy to be celebrating another birthday. A dear friend told me that I will never feel any older in my mind than I do now and I believe that is true. How about you? Any thoughts on growing older? 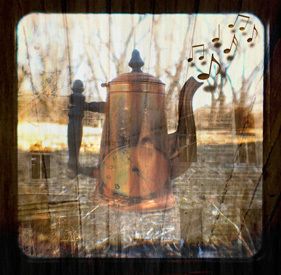 The above image was textured with Kim Klassen's "Epiphany" texture. I'm a few years ahead of you and can say that your friend is right! Age is a matter of the mind, in many ways, although the body might wear out a little. Happy Birthday, Jill! These were definitely meant for you to have! What a great price too. Yes, your friend is absolutely correct, and my mom always said the same thing, and I'm telling myself the same. Happy Birthday!!! Fifty years young! I like to say "act your shoe size, not your age"
That was a good idea and I bet it did feel good! Happy early 50th!! When I turned 50 I looked at it as a new decade to see what I could accomplish. Have a very happy birthday!! 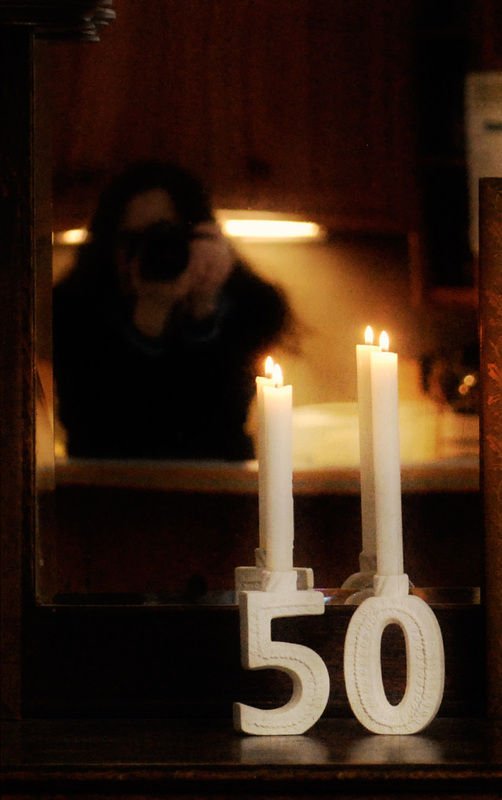 50 is a wonderful age. Especially when you are in your 80's like me. You have so many new adventures to fook forward to. Happy birthday . . . enjoy. Every year you're above ground and breathing is a win in my eyes! I've lost WAAYY too many friends who have died too early. Not being grateful for each day I've been given feels like an insult to their memory. How can I complain when they and their families would give anything to have another day. Enjoy - both your day and the lovely candle holders!